Rasam malayalam movie to be directed by Rajeev Nath will have Mohanlal and Nyla Usha in lead. Scripted by Rajeev Nath and Sudeep Kumar, the story will be set at the backdrops of Dubai and revolves around restaurants and catering services. Indrajith and Nedumudi Venu will give life to other prominent roles in the movie. The movie will start rolling from 20th December and is expected to get wrapped up with the first schedule itself. After the movies for foodies like 'Salt N Pepper', and 'Kammath and Kammath' which kept the theatres alive, another interesting project is on the pipeline aiming to entertain the masses. 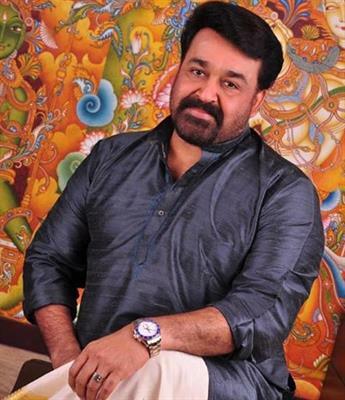 Titled 'Rasam', the movie directed by Rajeev Nath will have Mohanlal and Nyla Usha in lead. Scripted by Rajeev Nath and Sudeep Kumar, the story will be set at the backdrops of Dubai and revolves around restaurants and catering services. Indrajith and Nedumudi Venu will give life to other prominent roles in the movie. The movie will start rolling from 20th December and is expected to get wrapped up with the first schedule itself. The movie revolves around the story of a Namboodiri cook or traditional dehannakaaran, who runs a popular catering service in Kerala. He becomes fame for his unique style of delivering dishes which makes his name popular among the malayalis who live in the Dubai circle. The tale takes a new shape as the cook's son, played by Indrajith gets invitation from a Dubai-based family to cook for a wedding held there. As like former movies based on foodies, 'Rasam' is based on food and characters revolving around it. Nyla Usha who shared a good onscreen chemistry with Mammootty in the movie Kunjananthante Kada is gearing up to keep a presence alive in the malayalam film industry. She would be pairing with Mohanlal in 'Rasam' which is all set to shot at Dubai. It is also known that, the team is looking for a fresh face to play the female lead. Indrajith who worked with Mohanlal in Twenty 20 Flash, Chotta Mumbai and Baba Kalyani will also be seen in a vital role. Rajeevnath, one of the senior most film maker in the industry worked with Mohanlal for the movie 'Pakal Nakshatrangal' and 'Aham'. Even though his previous ventures didn't return much revenue for the producers, it gained critical applause. The project 'Rasam' has already brought much excitement among the movie lovers and is expected to be golden feather in the hats of the actors and director too.